I had always been small and petite throughout my life and even competed in pageants like Miss Alabama. Then, after having two children and gaining weight each time and going through menopause, I really packed the weight on and was never able to lose it all. 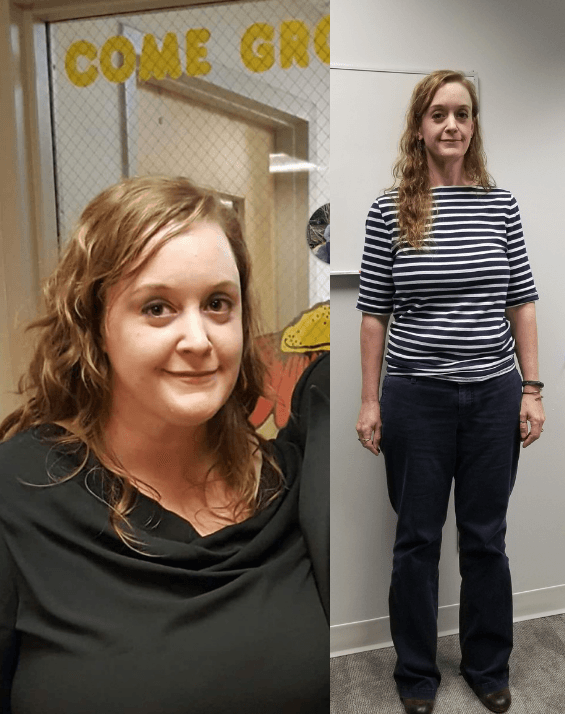 I had talked to a few people who had gastric sleeve surgery, and I finally decided that I was going to go talk to a doctor and see if I was a candidate. I decided to visit a few different doctors and get a better feel for what to expect. I met with one group and I just felt like I was in a cattle call there. There was no sense of personalized service so I decided to keep looking and that’s when I found Dr. Long. I made an appointment to see Dr. Long and I felt totally comfortable with him from the start. He spent an enormous amount of time with me going over everything and making sure I understood all of my options. After talking through everything, he told me he believed gastric sleeve surgery would be the best option for me. The process leading up to the surgery was very simple. We scheduled my surgery about two weeks after I first met with Dr. Long. I went to the nutrition class on a Monday, had my surgery on a Tuesday and went home the same day. The following Monday I was able to help my son get to a doctor’s appointment and by Tuesday I was back to work. After surgery, I noticed I wasn’t as hungry and I couldn’t eat much. If I did eat too much I would feel sick so I had to learn what I could and couldn’t eat. Luckily, I’ve always been a creature of habit, so once I found what worked for me it was easy to stick to. I am so much more active now. I never sit down. Before, I would get home from work and immediately go to the couch, but now I have the energy and ability to do anything I want. My advice for anyone considering gastric sleeve surgery, is if you’ve thought about it, think about it some more and do your research. It has been the best thing I’ve ever done for myself. I’m 16 months out from my surgery and I’m back to a comfortable and healthy weight. Dr. Long and his staff are just wonderful. If you have any questions or need to call for anything they’re always there to answer your questions. I have had a great experience and I can’t recommend it enough. Since my surgery, my neighbor has also had gastric sleeve done and one of my best friends just had it about two weeks ago. I give it high praise. Birmingham Minimally Invasive Surgery is a caring group of professionals who specialize in all types of bariatric surgery. Our surgeon Dr. Jay Long has highly specialized training in bariatric surgery, having completed a fellowship in minimally invasive and bariatric surgery at The Methodist Hospital in Houston, Texas, where he focused on taking care of patients that are morbidly obese. And we are so proud of our pricing that we publish the costs right on the front page of our website! Insurance won’t pay? We have a variety of financing options we can offer you so that you are able to get the healthy body you’ve wanted for years. Visit us today at http://www.bmisurgery.com/ or give us a call to set up a consultation at 205-833-6907. Obesity is a growing health problem that affects millions of people across the U.S. As the number of overweight Americans rises, so does the number of people who are considered severely or morbidly obese. From poor eating habits to high levels of stress, many different environmental factors, as well as some genetic factors, can contribute to an increase in weight gain. Without the proper intervention and treatment, weight gain can escalate to dangerous levels, leading to a heightened risk of diseases, health problems, significant physical disability or even death. Morbid obesity is a complex and progressive disease that increases your risk of developing comorbidities and weight related health problems, as well as interfere with your ability to perform many daily physical functions. It is characterized as an extreme amount of excess body fat and is often measured by calculating Body Mass Index, or BMI, which is the amount of body fat a person has based on their height and weight. A person is considered morbidly obese when they reach a body mass index of 40 or higher or are more than 100 pounds over what is considered to be an ideal body weight. 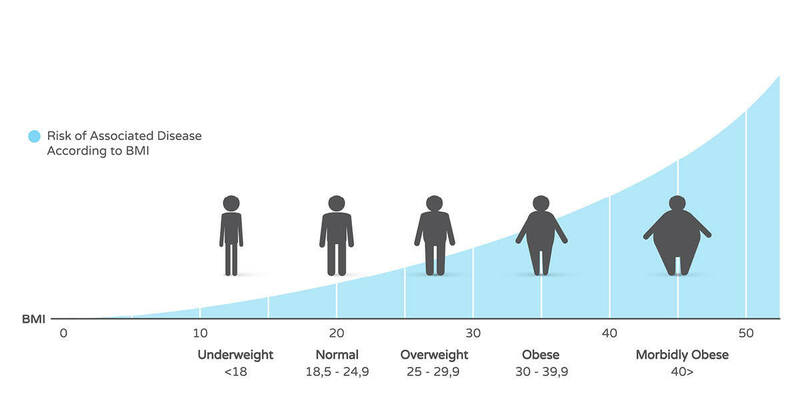 Along with BMI, morbid obesity is also diagnosed when a person reaches a level of obesity that greatly increases their risk of developing life-threatening health problems. For people diagnosed with morbid obesity, the risks associated with not having weight loss surgery are often higher than the risks of surgery itself. Obesity is considered a progressive disease because the excess weight gain causes a number of hormonal and metabolic changes in the body that increase the risk for even greater fat accumulation over time, making it difficult to fight using diet and exercise alone. Luckily, treatment is available and surgery is an extremely viable option. At Birmingham Minimally Invasive Surgery, we work to educate our patients on their weight loss options, as well as life after surgery. To learn more about your options and begin improving your health, schedule a consultation with us today! Birmingham Minimally Invasive Surgery is a caring group of professionals who specialize in all types of bariatric surgery. Our surgeon Dr. Jay Long has highly specialized training in bariatric surgery, having completed a fellowship in minimally invasive and bariatric surgery at The Methodist Hospital in Houston, Texas, where he focused on taking care of patients that are morbidly obese. And we are so proud of our pricing that we publish the costs right on the front page of our website! Insurance won’t pay? We have a variety of financing options we can offer you so that you are able to get the healthy body you’ve wanted for years. Visit us today at www.bmisurgery.com or give us a call to set up a consultation at 205-833-6907. Establishing a workout routine after weight loss surgery is a major factor that affects the long-term success of your weight loss journey. Regular exercise will help you recover faster, reach your weight loss goals and maintain a healthy lifestyle. No matter what your activity level was prior to surgery, we recommend working with your physician and fitness professionals to establish an exercise plan to meet your unique needs and abilities. Patients can typically begin very light exercise within the first week after surgery. We understand that this can seem like a daunting task to take on so soon, but once cleared by your surgeon, the sooner you begin being active, the better. The important thing to remember is to start small and set realistic goals. No one expects you to come straight out of surgery and run a marathon. Focus on adding activities to your daily routine that will encourage you to increase your heart rate, improve flexibility and build endurance. Week 1 – Week 4 Post-Op: Take this time to focus on getting back into the routine of your normal everyday activities. You should not lift anything over 10 pounds, but that doesn’t mean you can’t be active. Need to do the dishes? Try washing them by hand, so you have to stay standing longer. If you have stairs in your home, walk up and down them a few extra times each day to get your heart rate up. Set a goal to walk for a certain amount of time and then push yourself to walk a little longer each day. Slowly increasing your daily activity level right after weight loss surgery will help you build up stamina and add more active habits in your daily life. After 4 Weeks Post-Op: Each patient is different, but at four weeks post-op you should be cleared to perform most, if not all, exercises. This is when you can really start ramping up your workout routine and begin exploring different types of exercises to find what you like best. Walking is a great option, but can be hard on your joints. If that’s the case for you, swap a few days of walking for a few days spent in the pool. Water activities, like aerobics, are typically lower impact and can be a fun new way to stay active. The important thing to remember throughout your weight loss journey, is that you are not alone. It is easy to get discouraged at times, but there are great resources to help you along the way. We’ve found that patients who seek out support, follow an exercise routine and stick to a healthy diet are far more likely to lose the weight and keep it off. 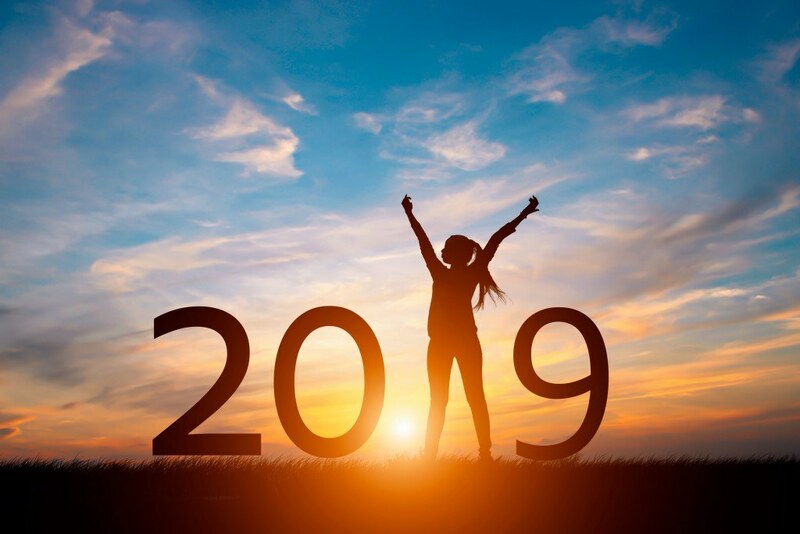 Did you make a New Year’s resolution to get fit and healthy in 2019? Don’t get discouraged if you haven’t seen the results you were hoping for yet. Even with a healthy diet and strict exercise routine, stubborn pockets of fat can still stick around and seemingly hide all of the progress you’ve made. If this is something you are struggling with, then CoolSculpting may be the perfect solution for you. CoolSculpting is an FDA cleared, non-surgical procedure that can help you eliminate fat with little to no downtime. It is often used to reduce stubborn fat cells that exist in areas of your body that are difficult to target with diet and exercise alone. During the procedure, precisely controlled cooling is used to gently and effectively target the fat cells underneath the skin. Once frozen, the fat cells will begin to die and your body will naturally process and eliminate them. Because this is a non-invasive procedure, there is no risk of scarring and you can return to your daily routine almost right away. How Can CoolSculpting Help Me Achieve My New Year’s Resolutions? For many patients, CoolSculpting is the perfect incentive to help them stick to their New Year’s resolutions. It is a great option if you are looking to fine-tune your figure, look slimmer in clothes and regain confidence. While CoolSculpting is not a weight loss solution, it can help you lose unwanted fat in areas of your body that are difficult to target with just diet and exercise. Additionally, because it is a non-surgical procedure, you won’t have to worry about taking a break from your fitness regime. You can continue to focus on getting healthy and fit, all while seeing the slimming effects of reducing unwanted fat in those troublesome areas. Every CoolSculpting patient is different and we at BMI Surgery take extra care to make sure we provide the best treatment options to meet our patients’ needs. We start with a one-on-one consultation, during which we complete a physical evaluation, discuss your desired results and answer any questions you may have about the procedure. If we determine that you are a good fit for CoolSculpting, we will then create a customized treatment plan that will help you achieve your fat loss goals and get you one step closer to making your New Year’s resolutions come true. Want to learn more about if CoolSculpting is right for you? Schedule a free consultation with us today! While it’s no surprise that many aspects of your life change after having gastric sleeve surgery, there are many “good surprises” our patients often tell us about. From looking at food in a whole new light to fewer cravings for unhealthy foods, here are a few things you might experience after having gastric sleeve surgery. #1 They’re satisfied after eating only a small amount. Before having gastric sleeve surgery, patients are often concerned that they won’t feel satisfied after a meal because they’re not able to eat as much. Though this is understandable, many of our post-surgery patients tell us this isn’t a problem. While they can still eat what they’re family’s eating for dinner, they just don’t eat as much, and they’re totally satisified. #2 They’re cravings are different, or non-existent. 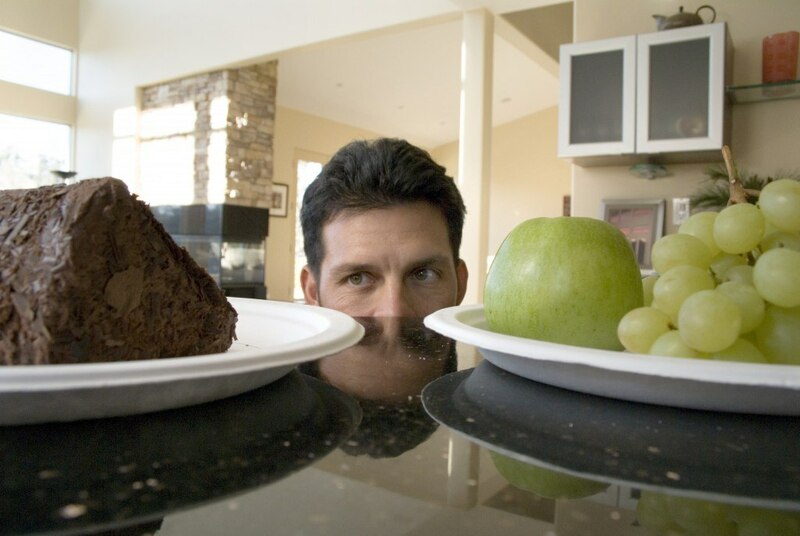 While many patients had cravings for unhealthy foods prior to surgery, we often hear them tell us they no longer crave those foods near as much, if at all. For many, it’s not uncommon to feel “out of sync” from eating sugary or processed foods once you’ve begun incorporating healthier foods into your diet. #3 They look at food differently. Many who come into our office have a different outlook on food after gastric sleeve surgery. While before they may have looked to food for comfort, they now view it as a means to survive. Having a goal for each meal, whether that’s to get in protein or nutrients, makes them realize the importance of eating the right foods. At Birmingham Minimally Invasive Surgery, we work to educate our patients on the surgery itself as well as life after surgery. We want them to be as prepared as possible to ensure they’re going to truly be happy with whatever surgery they go with. At the same time, every patient is different and has their own unique experiences post-surgery, but often we find these surprises end up being good ones that contribute to their overall health and wellness. When determining which weight loss surgery is going to be right for you, there’s most definitely a lot to learn and a range of factors to consider. While gastric sleeve, gastric bypass and the LAP-BAND each offer their own unique benefits, for those who are obese and have poorly controlled diabetes, there’s one that deserves a closer look, and that’s the gastric bypass procedure. 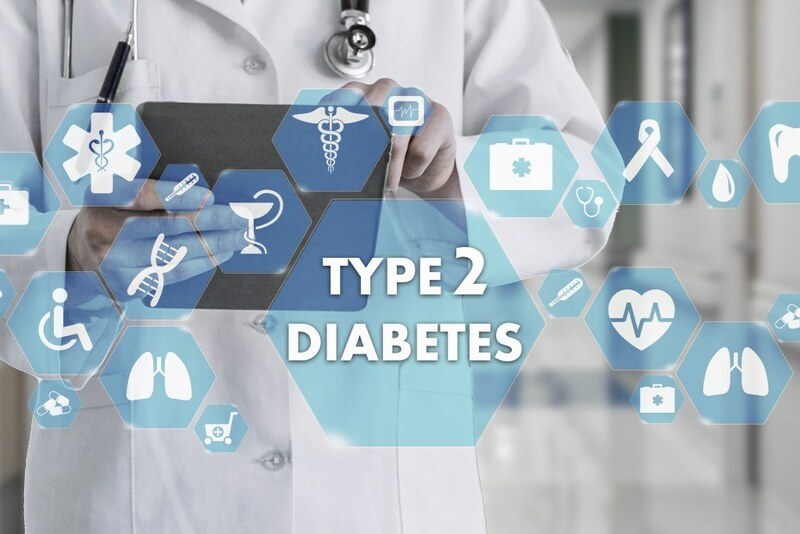 Since we now have countless studies proving gastric bypass has the ability to cure type 2 diabetes, this is often the best option for many who’ve been unable to get their diabetes under control. With excess body fat being one of the main contributors to type 2 diabetes, weight loss surgery is recognized as the most effective treatment among affected individuals with a BMI of 35 or more. Simply looking at the rates at which diabetes has been cured or improved through gastric bypass gives many hope in finding the cure they’ve been searching for. Diabetes is the 7th leading cause of death in the U.S., according to the Center of Disease Control, reducing life expectancy by a startling 12 to 14 years. This is exactly why it’s so important to seek treatment for complete remission or improvement as soon as possible. Through gastric bypass, you’ll dramatically increase your chances of achieving normal blood sugar levels and eliminate the need for diabetes medications. This alone has ability to help you take control of your health and once again, live your life to the absolute fullest. During the holidays, sometimes even despite our best efforts, many of us find ourselves getting off track with our healthy habits. While this can be discouraging, we like to see the quickly-approaching New Year as a prime opportunity to restore those good habits or even take them to the next level. Especially for those who recently, or not so recently, had weight loss surgery, it’s important to keep up with healthy habits that contribute to maintaining or getting back to an ideal weight. #1 Begin or ramp up your workout routine. 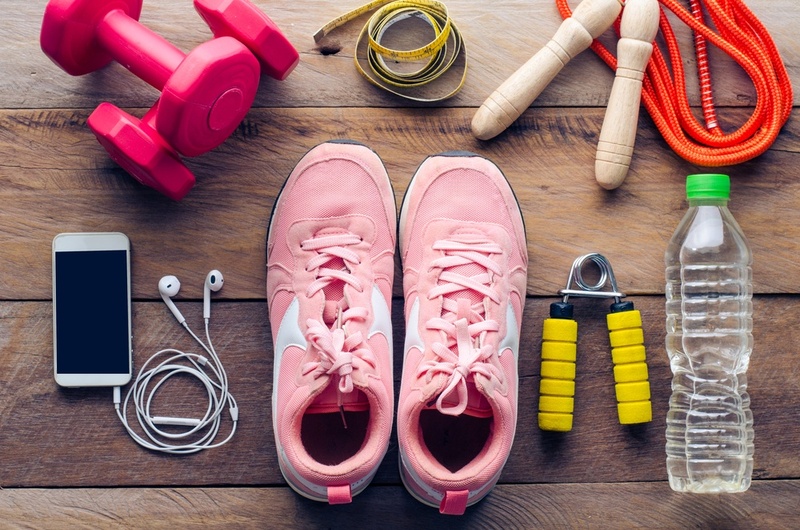 Even after weight loss surgery, the key is to remember that there’s still work to be done when it comes to maintaining a healthy weight, and a big part of that is exercising. Even if you struggle with joint or knee pain, use the New Year as an opportunity to discover the endless ways to get in a low-impact workout, or seek out a new, exciting routine that you look forward to completing each day. #2 Eat proper portion sizes and nutrient-dense foods. Again, while weight loss surgery isn’t a miracle cure, it’s essential to keep your portion sizes smaller and loaded with nutrient-packed foods. Since you’re eating less than you use to, it’s crucial to ensure you’re getting as many nutrients as possible. Now that the holidays are almost over, this is the perfect time to remember how great and energized your body feels when eating the right foods. #3 Get involved in a support group. If you aren’t already a member, it’s time to join a support group. We’ve seen this be a huge motivator and predictor of long-term weight loss with our patients, and that’s why we encourage everyone to get the support they need for as long as possible. Whether through our Facebook support group, Saints for Wellness, or other online or in-person groups, there are plenty of options when it comes to finding one you really enjoy being a part of. #4 Share your story with others. Once you’ve hit your ideal weight after bariatric surgery, it’s time to tell your story to those you feel confident and comfortable sharing it with. Not only can it help you practice what you preach, but you can encourage others to live a healthier lifestyle. Whether it’s through an online testimonial or talking one-on-one with a friend, inspiring others can do wonders for your mental and physical health. As the New Year creeps in, we encourage you to take the time to recenter, set attainable goals, and get ready to accomplish those goals with a positive attitude and wholehearted commitment. Losing weight and/or maintaining a healthy weight is something to be proud of, and 2019 is a fresh start to continue doing just that. 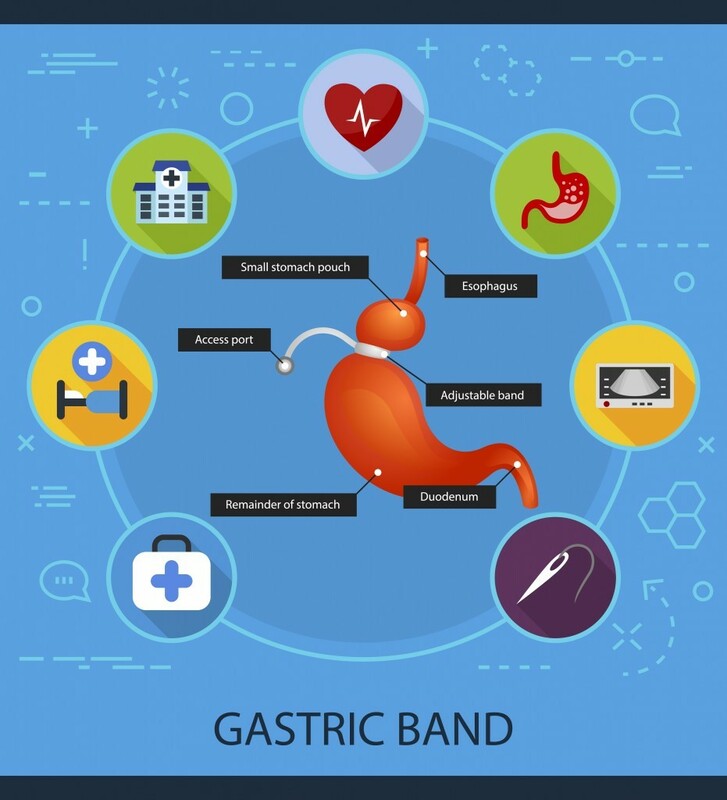 Gastric band flat icons concept. Vector illustration. Element template for design. Choosing the right weight loss surgery isn’t always easy. You want to choose the one that’s A) Going to help you lose weight, B) Not going to restrict you to the point where you’d be unhappy, and C) Going to be worth the risks. With any surgery, even a minimally invasive one, there’s going to be some degree of risks involved, but it’s important to have a thorough understanding of these risks before making any decisions. While the most common bariatric surgeries include the LAP-BAND, gastric sleeve and gastric bypass, they each have their own unique advantages, but for many, the LAP-BAND is the perfect surgical weight loss solution. If fewer risks and side effects are at the top of your list when choosing a weight loss surgery, you should know the LAP-BAND offers a variety of benefits when compared to other procedures, and we’ve listed out some of the major advantages below. Lower mortality risk than other weight loss surgery procedures. Both total complications and mortality rate are extremely low for the LAP-BAND with a mortality rate of only 0.1%, according to Obesity News Today. Low risk of nutritional deficiencies like those associated with gastric bypass. Though having its own unique benefits like the ability to cure diabetes, patients that have the gastric bypass procedure are required to be on nutritional supplements for life due to the malabsorption of food. With the LAP-BAND, you’re not changing the anatomy of the stomach, therefore, food and nutrients will continue to be properly absorbed into the body. Reduced risk of hair loss. Since this typically occurs as a result of a nutritional deficiency, hair loss is much more common with other weight loss procedures. Of course, there can be other factors that may increase these chances, such as psychological stress or hormone disruption. No “dumping syndrome” related to dietary intake restrictions. Dumping syndrome occurs when the food passes too quickly to the lower intestine, but because the anatomy isn’t changed during the procedure, this is unlikely to occur in LAP-BAND patients. Along with fewer risks and side effects, there are also some other major advantages of going with the LAP-BAND with the main one being the fact that it’s adjustable. Without the need for additional surgery, you can have the band adjusted to better meet your needs and weight loss goals. At the same time, patients also take comfort in the fact that it’s reversible, and if the patient wishes, the stomach can be restored to its original form and function. It’s also one of the more cost-effective procedures, being about $2,000 less than the gastric sleeve. With the average patient losing 30-40% of their excess body weight within two years, there’s no doubt this procedure is effective and can help you restore and maintain your health for years to come. Patients often come to Birmingham Minimally Invasive Surgery wanting the least invasive surgery possible, and while this is completely understandable, the fact is, all of our weight loss surgery options are, well, minimally invasive. With the gastric sleeve, gastric bypass, and the LAP-BAND being the most common of the weight loss procedures, each is done laparoscopically, requiring only 4-6 tiny incisions and less than 2 hours in the operating room. Another factor that patients often overlook is how insurance plays a major role in choosing which weight loss procedure is best for them. While many insurance companies require a certain BMI for different surgeries, this can often dictate which ones are covered. On the other hand, for those paying out of pocket, the cost of the procedure often plays a major role. Take a closer look at the most common weight loss surgeries below to get a better understanding of which one might be right for you. During gastric sleeve surgery, we’re basically cutting away the top and largest part of the stomach called the fundus. This is where the hunger hormone, ghrelin, lives, and that’s why we often hear our post-surgery patients say they’re never hungry. Along with eliminating this hunger hormone, we’re also removing about 2/3 of the stomach, which is why these two combining factors lead to significant weight loss. Who’s a good candidate for gastric sleeve? Those using insurance to cover the procedure must have a minimum BMI of 35 to 40, along with various comorbidities like diabetes, sleep apnea, or heart disease or a BMI > 40 with or without comorbidities. While the sleeve is great for anyone that meets these requirements, patients that have severe acid reflux disease aren’t going to be good candidates since this procedure has shown to be acid inducing. What are the benefits of the sleeve as opposed to other weight loss surgeries? Compared to other weight loss surgery options, the sleeve is definitely a simpler procedure. We’re not rerouting the intestines like we do during the gastric bypass, and we’re not putting in a foreign body like we do with the LAP-BAND. It’s a quick procedure where we’re literally stapling the stomach and cutting 2/3 of it away, leaving the patient with a very small banana-sized stomach. With the Roux-en-Y gastric bypass, we create a very small stomach pouch that restricts food intake. Next, a Y-shaped section of the small intestine is attached to the pouch that allows food to bypass the lower stomach, the duodenum (the first segment of the small intestine), and the first portion of the jejunum (the second segment of the small intestine).This ultimately reduces the amount of food you can take in because you have a very small stomach that holds about one to two ounces. At the same time, we’re decreasing the absorption of food and nutrients, which also aids in the weight loss. Who’s a good candidate for gastric bypass? The bypass is usually a better option for our heavier patients because most will lose up to 80% of their excess body weight as opposed to about 60% with the sleeve. It’s also going to be the better option for anyone with severe acid reflux or poorly controlled diabetes since the bypass has proven to cure both. What are the advantages and disadvantages of gastric bypass? The gastric bypass is technically considered reversible, but we never want to reverse this procedure because you will gain all of your weight back. After surgery, you do have to be on nutritional and vitamin supplements for life because of the malabsorption of food. For patients with more weight to lose and more comorbidities, like sleep apnea, high blood pressure and/or diabetes, gastric bypass really is going to be a better procedure overall with more rapid weight loss. A lot of people are afraid of the bypass because they think it’s a much more “invasive” procedure, but it’s really not. It’s about the same amount of incisions, 6 versus 5, and it’s still done completely laparoscopically. It’s just a little more labor intensive because we’re changing the anatomy. During this procedure, we place the LAP-BAND, a foreign body made of a special material, near the top of the of the stomach where it meets the esophagus. This creates a very small pouch that empties into the larger remaining portion of the stomach. The band is connected to a port, which is underneath the skin of the abdomen, and this port how we put fluid in the band, allowing us to make the band opening larger or smaller in size, giving the patient more or less restriction. Many patients prefer the LAP-BAND because they don’t want anything permanent done, and with the LAP-BAND were not changing the anatomy of the stomach…so it’s completely reversible. We can always go in and take the LAP-BAND out if the patient chooses to do so. Another reason patients prefer the LAP-BAND, especially those paying out of pocket, is because it’s about $2,000 less than a sleeve…so it’s one of our more cost effective procedures. What are the advantages and disadvantages of the LAP-BAND? The LAP-BAND isn’t necessarily an overnight fix. We have to find that “happy place” where the patient is able to get food down but also able to maintain smaller portion sizes, and that’s where these band adjustments come into play. The goal of all of these procedures is for the patient to lose weight, but it’s still important to keep in mind that none of them are a magic fix for permanent weight loss. While it will certainly help, diet and exercise are still going to be important. Eating the right foods, not consuming excess calories, and establishing an exercise routine are essential when you’re trying to lose weight and keep it off. No matter which weight loss surgery a patient ends up going with, it’s important that they have the right mindset and are ready to make major lifestyle changes. that are morbidly obese. And we are so proud of our pricing that we publish the costs right on the front page of our website! Insurance won’t pay? We have a variety of financing options we can offer you so that you are able to get the healthy body you’ve wanted for years. Visit us today at http://www.bmisurgery.com/ or give us a call to set up a consultation at 205-833-6907. Over the years, my weight had just kind of gone up and down. I’d tried Weight Watchers, Medifast, and nothing seemed to work. 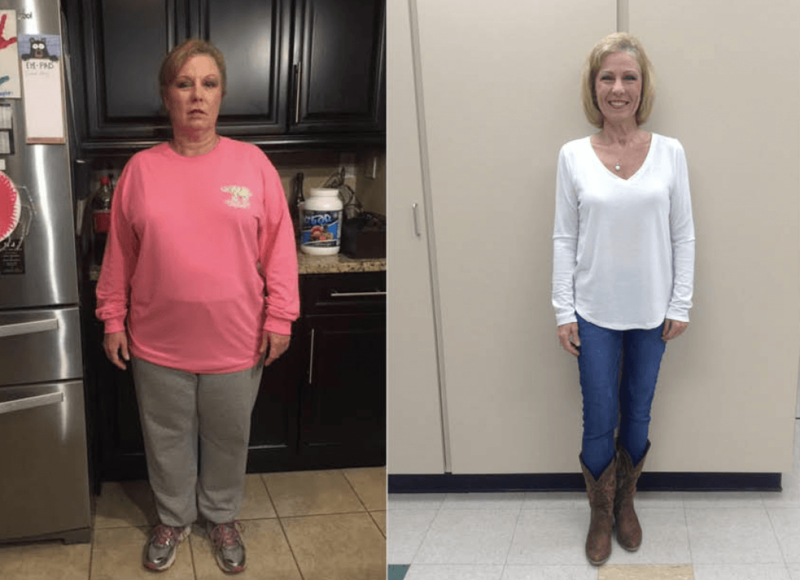 When I changed jobs a while back, I even looked into weight loss surgery and went to a seminar held by Dr. Long at Birmingham Minimally Invasive Surgery. I was seriously considering it until I found out it wasn’t covered under my insurance. I had kind of given up on the idea of having weight loss surgery until the daughter of one of my mother’s friends had it performed by none other than Dr. Long. One day she asked me if I’d thought about doing it and even went on to tell me she’d help me out if it wasn’t covered. So out of curiosity I checked again, and turns out, my insurance plan had changed, and it was now covered! Without giving it a second thought, I went to Birmingham Minimally Invasive Surgery to see Dr. Long. Before I knew it, I was done with the insurance-required six-month supervised diet, and in June of 2017, I had gastric sleeve surgery. Looking back, it’s one of those things where you feel like it should’ve been harder than it was. I’m not saying it was easy by any means, but it was exactly what I needed. When people ask if I wish I’d done it sooner, I tell them, yeah, I wish I’d done it sooner. But at the same time, given my personality and where I was at in my life, I think it was the right time for it to work for me. Since the surgery, while I tend to crave a variety of things, I’d say I eat very healthy most days, and I even feel out of sync if I don’t have a small salad as part of a meal at least once a day. That’s not to say that I don’t still eat things that might be considered unhealthy, but I rarely want them since they typically make me feel bad afterwards. For instance, I found that if I have something that’s super processed or full of sugar, it makes me feel weird, like I can feel my system is in the wrong gear. Because of this, I definitely crave unhealthy stuff a whole lot less than I did before, and for someone who was able to always pack it in, it’s nice to have an internal governor that makes me want to stop after only a bite or two. For me, my personality is such that the stricter you make it, the more I’m going to act out. But with the sleeve, if I really want pizza, I can still have it, but again, I just eat a bite or two before I’m good. That’s a big reason as to why I think the sleeve was such a perfect fit for me. It’s not restricting and just allows me to listen to my body. My advice for anyone that’s considering weight loss surgery – talk to people that have had it done and are maintaining so you know what it’s like after surgery. Get their perspective – is there stuff they miss? You should go into it with the understanding that you’re not going to be able to eat like the rest of your family, that you really can’t do carbonation, and if you have a really bad day, you can’t eat a whole pizza and drink a bottle of wine. You can have a piece and a glass, but that’s it. Once you learn about the surgery from someone who’s been through it and been successful, I believe you’ll be better prepared going into it, and there’s no one better to go see than Dr. Long. It’s not an easy journey, but if you’re like me, it’s exactly what you need.